The Royal Academy of Arts has almost 250 years of history to its credit. It is a leading London exhibition space and is famed for the world’s largest open art show, the annual Summer Exhibition. Many of the country’s leading practitioners of art, including Tracey Emin, David Hockney and Grayson Perry, are elected members of the academy. Their experience is harnessed to guide a next generation of artists, who study at the Royal Academy Schools on their premises in Piccadilly, London. 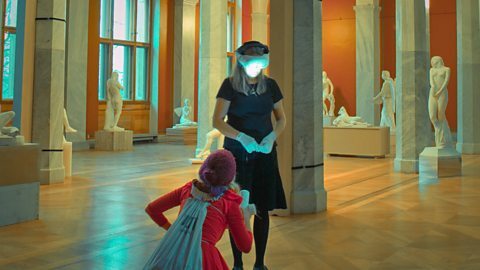 On BBC Arts you can enjoy a taste of the latest Summer Exhibition, take an extra-sensory tour of the building and delve into the RA's illustrious history.